The global market for Smart Homes is increasing at a very rapid pace. In 2022, the worldwide market for smart homes is expected to reach 122 Billion US Dollars. In 2016 alone there were around 80 million smart home devices shipped across the world to homes that included smart devices such as Alexa, Google Home, Thermostats from Nest and so on. Smart homes are making things relatively easy for occupants and families by providing a means to continuously interact with their homes even when they are away. As with other recent tech innovations, smart homes too are hit by the AI bug and today AI powered smart home devices are flooding the market irrespective of geographies. Several of the world’s top Tech moguls like Bill Gates, Mark Zuckerberg, Larry Ellison, etc. have already showcased to the world about how they converted their own residence into smart ecosystems with a number of connected devices that communicate with each other. 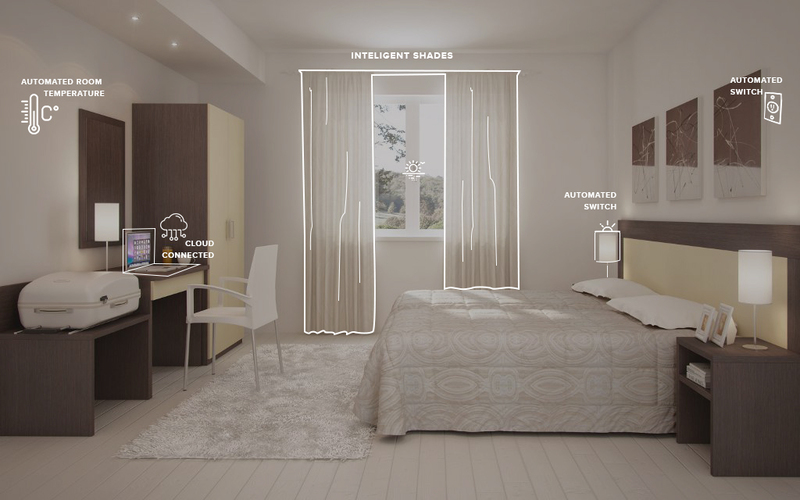 At this scenario, let’s see how AI can enable intelligence to occupancy management tools. Would like to use this API ? AI powered smart homes or smart rooms are not just meant for playing music with your voice commands but they can do a lot more. You could have AI enabled occupancy management system that allows you to monitor rooms for presence and act accordingly. It can control various room ecosystem parameters such as temperature, humidity, noise isolation, lighting, air flow, odour control, etc. based on the presence of people in the room. Using high precision sensors, AI enabled occupancy tools can detect the number of people in a room, track their movement patterns, predict average usage of electrical installations such as Air conditioning, lighting systems, home entertainment systems, etc. and offer automatic solutions to controlling power consumption. In simple terms, it can turn off the lights in a room when there is no one in the room and turn it back on as soon as someone enters. This particular use case can be repeated for a number of scenarios wherein occupancy details are essential for taking decisions. A prime example for such an AI powered occupancy tool would be hotel’s making use of them to determine usage patterns of guests in their rooms. They can use the data to organize power systems and minimise power consumption by turning off or dimming lights in rooms that are vacant or adjusting ambient temperature in rooms where the number of people are less and many more. Besides, large halls or convention centres can make use of such tools to make estimations of the required amount of cooling or conditioning needed in the room, the lights that can be dimmed or turned off due to low concentration of people in that region. Considering the fact that way back in 2010, the amount of power utilized in lighting all medium and large buildings in Europe consumed about 40% of the total power generated, smart lighting solutions would drastically bring down costs of operation at all places. And we already ahead in the race for smart lighting solutions as pointed out by Philips in their report which says that in the next 5 years, smart lights would become the number one IOT device globally. Artificial Intelligence is a core part of smart homes as the system needs to study patterns of usage by occupants before arriving at an optimum usage schedule for maximum efficiency conservation and power utilization. Using advanced deep learning algorithms and behavioral analysis, AI bots can determine how users can adapt to various room parameters when they change and how to create the best experience while conserving power. Integrating AI into smart occupancy detection systems could be a painstaking task for many enterprises having smart IoT enablers like sensors, because they may not have the right skillset to develop AI algorithms to support the whole process. This is when AI as an integration service via API’s can do the trick. Smart home device manufacturers or enterprises looking forward to creating smart occupancy control ecosystems can utilize cloud base AI API’s to build responsive systems on their data. Wondering how they will do it? Get in touch with us today and our consultants will walk you through a demo of the same. Didn't get what you are looking for ? Get in touch with our expert AI consultants today to know more. How can AI enhance the hospitality industry?